Matt has been with circle lounge from just a year after opening and has progressed through the ranks to be our manager. He also started his career in bartending early, at the age of 17 at The Raggalds, where he worked in a variety of roles, from front of house to functions to kitchen where he picked up a lot of ideas in a short space of time. 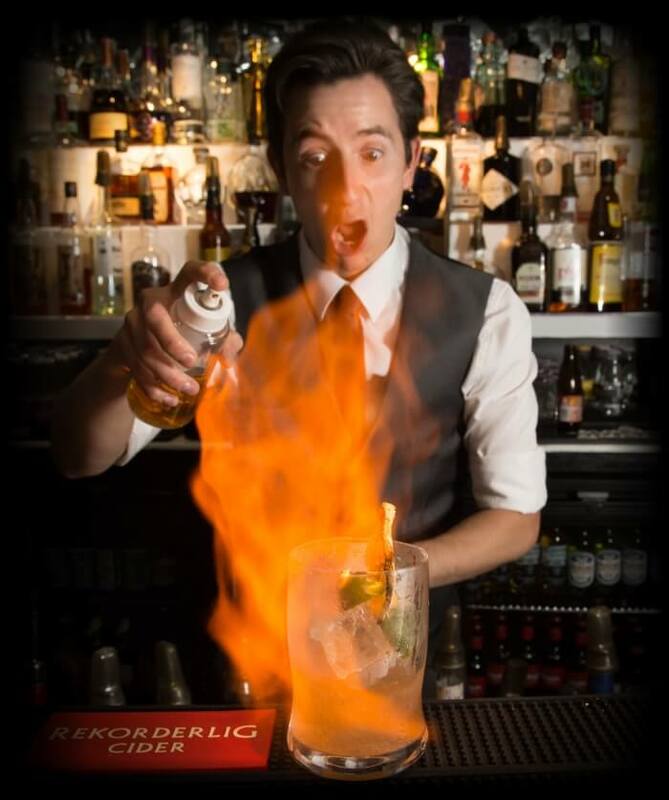 he started working at circle lounge in his second year at university, where he was studying english literature and drama, and under the guidance of Richard and the other staff at the time, he grew in confidence and ability, becoming one of circle lounges best bartenders. it was in his third year at university, whilst doing his dissertation and working full time at circle lounge and also performing in a musical at the Victoria theatre was he asked to step up and become the manager, for that reason he says he will never forget his 21st birthday. although not having worked in as many venues as Richard, working with him since the start has taught him most things he knows about cocktails and what started out as a very good working relationship, has turned into a very strong friendship. Matts passion is thrown into researching new techniques and expanding his product knowledge which is shown when he’s working, as he is always creating and experimenting behind the bar. He’s always on the lookout for unique and quirky ingredients to try. Matt also loves a little close hand magic which landed him the nickname “Magic” with some of our regulars, which is quite fitting as it is a little bit special to see him when he’s on form behind the bar.